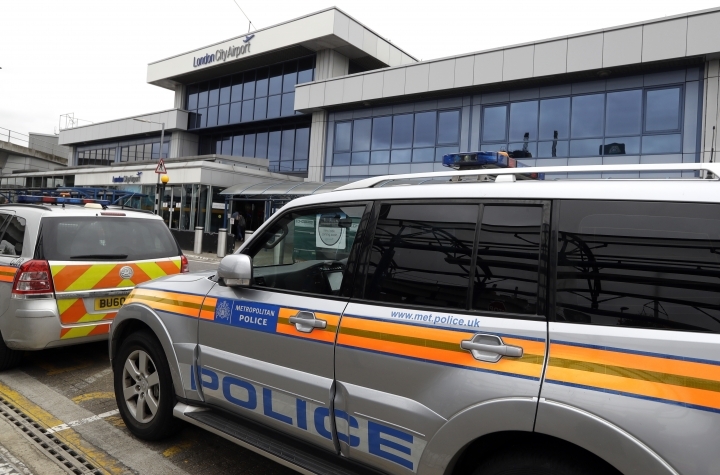 LONDON — Flights resumed at London City Airport after hours of disruption on Tuesday caused by demonstrators who blocked a runway to protest expansion plans. "It is an airport designed for the wealthy," the group said in a statement. "At the same time 40 percent of Newham's population struggle to survive on 20,000 pounds ($26,600) or less. When black people in Britain are 28 percent more likely to be exposed to air pollution than their white counterparts, we know that environmental inequality is a racist crisis." "The problem was that there were only two or three staff there and the queue was about 150 yards long, so it was impossible," he said. "Pretty soon they realized they would have to do a queue-walk to inform everyone. People were behaving themselves. They know it was not the airport's fault, but for a time it was a bit chaotic." Last month's protest marked the fifth anniversary of the death of Mark Duggan, a 29-year-old black man shot by London police under disputed circumstances on Aug. 4, 2011. The killing sparked several nights of rioting in Britain's worst civil disorder in decades.